Previous: Finviz Review – Is it the best stock screener? Looking to make a little extra cash from the comfort of your own home? Have a little free time that you should be spending making money? If yes, then this is the article for you! Here’s a list of 36 ways to make money from home. Online surveys are one of the fastest ways to make a little extra cash. Although most individual surveys only pay a few dollars, they are quick and easy to complete and doing multiple surveys in one sitting is a breeze. There are a lot of Survey sites, but I’ve listed some of the most popular ones below. You don’t need a degree in computer science for this one since companies like Google and Bing pay people to test their algorithms. All you have to do is use the search engine and report unrelated results, so they can remove poor content from their search results. Leapforce, Appen and LioBridge are all good sites to get you started. 3. Downloading an App. Yeah, That’s It. There are a few companies out there that will pay you to install their apps and keep them on your phone. This isn’t the most profitable option but takes very little effort. For instance, Ibotta is a grocery shopping app that lets you save on big brands, and gives users $10 for signing up, plus extra cash for ever person you refer to the app. Other options are Locket, which pays users for allowing ads on their lock screen, and MyPoints, which gives you a $10 Amazon gift card for signing up. There are a few apps that you can download that require a little more effort but will generally reward you more. Examples of these kind of apps include ESPEN Streak For The Cash, which rewards the user with the longest winning streak prediction for a team or a player with up for $50,000, and Iconzoomer, which requires users to complete assignments by taking and uploading photos, and pays users per photo. One of the easiest ways to not only save money, but to make money too, is to ensure that your bank account is working for you. Make sure your account has the best fees out there. Also, different banks have different policies on the interest you can earn from a savings account. Even if you only have a couple hundred dollars to have, using an account with a higher return rate will get your money to literally create money for you. This one is a bit out there but there are a couple different ways to profit from making healthy lifestyle choices. Firstly, through apps like AchieveMint you can get paid for completing health-related activities like clean eating, sleep tracking and more. 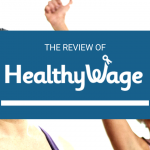 Alternatively, you can bet on your own weight loss with services like HealthyWage. You win the best if you reach your weight loss goal within a certain amount of time. Blogging is probably the method on this list with the highest potential profit. Although it takes time and hard-work, some blogs have grown to pull in five figures a month! Starting a blog is easy, with sites like Bluehost that charge minimal monthly fees and allow you to design your own blog. The other appeal of blogging is that you can write about basically anything that interests you. Like making your own blog, creating a podcast can bring in quite a bit of cash depending on how successful it is. Podcasts are popular since they offer content in just an audio format, so people can listen to them on-the-go. Also, like blogs, podcasts can be about a variety of topics, and so you can create content about something you’re already interested in. This one is quite challenging in comparison to most of the other methods on this list because becoming popular enough on YouTube to make money is very competitive. However, once you have built a decent following, you can make money from allowing ads on your videos and with affiliate marketing. This job is as simple as it sounds. You can get paid for transcribing audio clips. One of the best sites to get involved in this is TranscribeMe.com. To start transcribing on this site you must go through training and pass an exam. This isn’t a difficult process, just takes some time. The rate on this site is around $15/hour of audio transcribed, although the rate can change depending on the content and other criteria. Other options include TranscribeAnywhere.com and Speechpad. Like transcribing, you can get paid by companies to translate their texts from one language to another. This work is flexible but this is obviously only an option for those who are fluent in at least two languages. Sites like WordExpress and Unbabel are good options. This one is pretty self-explanatory. You can get paid for testing out websites and providing feedback on them. There are a few sites that make this process super easy. There’s UserTesting.com that has a list of tester job posts from external companies. Another good one is WhatUsersDo.com that works similarly. This is very similar to the previous idea; you test out products and give feedback based on your experience with them. Some companies, like Nike, do this independently. You need to be in great shape and be heavily involved in a sport to get these free products to test. However, there are some sites that let you get involve without meeting companies specific criteria like Toluna.com. If you have a car that you aren’t using regularly, or at least as regularly as you thought you would this is a great option. There are a couple of different sites/apps that let you do this, but essentially you can post about your car and where you’re located. People who are looking to rent a car can just book right from the service. Popular examples of these services are Turo and HyreCar. Like #12, this idea allows you to rent out things you own when you aren’t using them. The best service for this is FatLama where you list the items you would like to rent out and people in your area can reach out and request them. You might be concerned about renting your stuff to strangers, but Fatlama has a lenders insurance policy to keep you covered. Trim is a free service that helps you manage your budget. When you sign up for an account, you provide your bank information and Trim gives you a personal finance break-down, personalized spending reminders, and more. They also offer additional financial management services for a fee. Unlike the other items on this list so far, Trim doesn’t actually help you make money, but it helps you see where your money is going and helps you free up space in your budget. There’s a lot of administrative tasks that individuals, companies, and other entities are looking to outsource. Examples of these kind of tasks can include answer emailing, managing social media, scheduling, bookkeeping, and more. If you’re an organized then this is the side hustle for you. You can use regular job search sites like indeed.com, or sites like Outsourcely or Guru. Is your typing fast and accurate? If yes, then data entry might be the option for you. Data entry encompasses a lot of different tasks and the flexibility/required hours differs depending on the jon. Sites that include data-entry job postings include realhomejobsnow.com and capitaltyping.com. There are tons of sites where you can sell your gently used belongings like kijiji, ebay, craigslist, etc. This one is self-explanatory but when you clean out parts of your house, instead of tossing the stuff you don’t want or use anymore, sell it (as long as it’s in good enough condition to sell). Surprisingly, there are companies out there that will legitimately purchase your junk mail. What?! Typically, these companies are involved in market research like the Small Business Knowledge Center and Get Out of Debt Guy (which focuses on mail about debt relief offer). 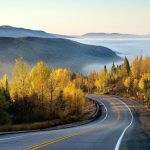 There are a couple ways to become a customer-service rep. You can either work for a third party company like Alpine Access or Working Solutions, who are contacted by large corporations looking to outsource their customer service. Or, you can try finding opportunities using regular job searching apps like Indeed. One way to make a little extra cash on the side is to proof read for grammar errors and stylistic changes. To become a freelance proofreader, it’s recommended to use free workshops, on sites like Proofread Anywhere, to learn about what it takes. Once you’re ready check out sites like Domainite, Smart Brief, or Upwork. Any dog-lover reading this list just got very excited. Although dog-walking can be a great way to make some cash and get some exercise you can also earn money dog-sitting or taking care of dogs during someone’s work day (aka doggy day care). With services like Rover, you can create a profile explaining your schedule and be contacted by dog owners in your area. Even if you’re self-taught, graphic design can be a great way to make money whilst showing off your creativity. Like the other freelancing options on this list, it will take a little research on sites like 99desgins, Upwork, and The Creative Group to find opportunities right for you and what you can do. 26. Got A Knack For T-Shirt Design? If you have some creative ideas for what to put on a graphic t-shirt, consider this side hustle. Now you can do this option independently by purchasing all the products, putting in the word, and sending out orders yourself. Or, you can use a service like Teespring, Zazzle and CafePress that does all the hard work for you. You create t-shirt designs, and once you have enough orders, this company will do the rest! To be honest, this option does not yield the highest reward. However, it is very easy and can still help you make some cash if you’re willing to put in the time. The tasks you are asked to complete take a few seconds, but each only earn a few cents. Most shudder at the thought of jury duty. However, here you can learn about cases and submit verdicts without having to take days off. Lawyers sometimes test out arguments on cases with a mock jury before going to court. Examples of these services are eJury, which pas $10/case, OnlineVerdict and JuryTalk. Have a talent like fixing cars, playing a musical instrument, or doing another person’s makeup? If so, then you should consider making your own business selling whatever service you are good at. Plus, if you enjoy the work, you’ll be more inclined to do it in your free time. Going away for the week? Have an extra room in your house you don’t really use enough? You should consider listing your home on Airbnb. Its very easy to make an account and communicate with those looking for a place to stay. Airbnb is a reliable service, that guarantees property insurance, so you can feel safe making money this way. Although this sounds like an oxymoron, there are a few companies, like Ebates and Dosh that will give you cashback on your everyday shopping. All you need to do is put in an email address, and start earning cash on things you would have bought anyway without these services. Plus, these sites usually have bonuses after signing up. It’s a no-brainer! Micro-investing is a way to get involved with investing even if you have limited resources. Services like Stash and Acorns let you invest very little and still earn a profit. They are great for people who don’t know a lot about the stock market but want to try. Plus, they let you skip a lot of the account minimums and other requirements of brokerage firms. Have you ever received a gift card from a friend or family member, that you would never really use? There are a few ways that you can sell your unused gift cards to get extra cash. Examples include Cardpool, PlasticJungle and GiftCardResue. Are you good at making resumes? A lot of people have a hard time with this, so this can be a good option if you have this skill. One of the best sites to market yourself for this is TalentInc. This site also allows you to make CVs. The last idea I’m including on this list is for those who are skilled with and enjoy video making and editing. Like some of the other freelance options, you can sell your content on sites like Fiverr to people looking for everything from promotional videos to logo animation. Just sign up as a seller and let the creativity flow. 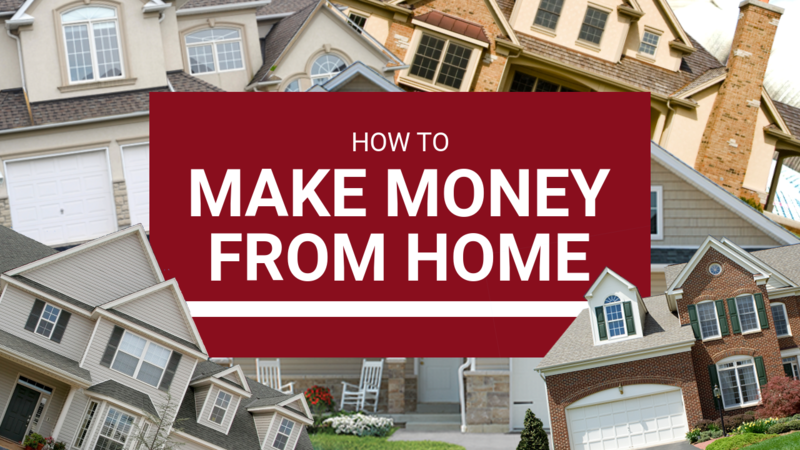 This list is just a sample of some of the ways you can make money from home. One of my favourites is renting out what you already own on sites like Fat Lama and Airbnb, because it’s easy, safe, and lets you make money off things you’ve already paid for. I also think signing up with services like Ebates and Trim is a great option because they are simple to use and can help you save or earn on everyday purchases you already make. No matter what you choose, earning cash from home can be a breeze!